Looks like this Marvel/Netflix deal is turning out to be one of the most creatively satisfying projects either company has ever done. After Daredevil was a huge hit this past summer, Jessica Jones has roared onto our screens to deliver another phenomenal superhero show. 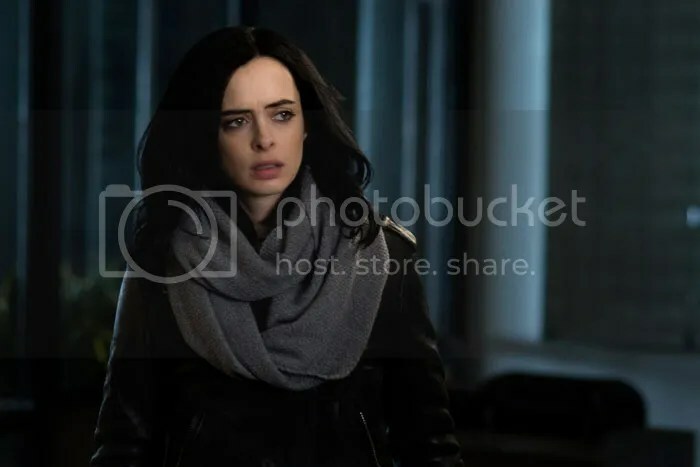 Gripping, invasive, spooky and downright charming (for both good and ill), Jessica Jones was worthy of a binge watch this past weekend, and it lived up to all the hype. Rather than write any kind of official review, I’d just like to jam a little on the awesomeness of Jessica Jones (and a few minor flaws). I loved the show from beginning to end and will gladly go back and rewatch someday. I can’t wait for her to team up with other heroes on the Defenders, and I already kind of want Jessica to start knocking around Tony Stark and Steve Rogers. So join me after the jump for my wrap-up on Jessica Jones! And watch out for MASSIVE SPOILERS for the entire show! Jessica Jones is a great TV show. From it’s characters to its conflict to all the various subplots, every bit worked for me. This was one long, outstanding movie, a story that never let up and always had a new twist or exciting moment around the next corner. The plot never got out of hand, the supporting characters never burdened the series, and Krysten Ritter as the title character managed to hold her own with ease as the lead. I’m get into a little more depth on some of these points coming up, but basically, this was exactly what you want from television these days. We’re living in a golden age of scripted TV (backlash from reality TV, methinks), and I’m loving every minute of it. Jessica Jones deals with powerful themes you don’t often see on TV, like PTSD and surviving sexual abuse, and it does so without flinching away from the rough stuff. This is a show that is comfortable in its own skin, even if its main character is not. From hero to villain to sidekicks to super-powers, Jessica Jones is another hit for Marvel Entertainment. I couldn’t be more thrilled. Forget Agents of S.H.I.E.L.D., this is the Marvel Universe on TV. Though if I’m being completely honest, there weren’t any singular awesome scenes that stick out to me. In Daredevil, I’ll sometimes find myself going back and rewatching that first conversation between Matt and Fisk over the radio. That scene was a standout moment. Or the scene where Daredevil, in costume, finally comes face-to-face with the Kingpin in the finale, and the crime boss realizes who he’s dealing with. I love those scenes. But there wasn’t really anything like that for me in Jessica Jones. That could just be me though. I know the show had 13 episodes to fill, but they did kind of repeat themselves a lot. 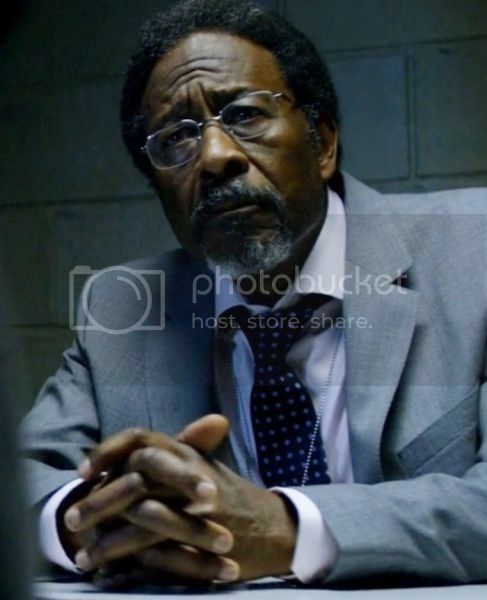 Specifically, I’m talking about every single time that Jessica captured Kilgrave, only for some outside force to come along and free him. It happened three different times! First she drugs him and gets him in the back of their van, but his security guards come along and save him. Then she manages to drug him and get him into that sealed vault, but trouble happens and he breaks out. Then she manages to knock him out and duct tape him in her apartment, but the angry support group comes along and frees him. Was there really no other way to fill time? Of course, that being said, the best way to fill time is with more awesome scenes between Krysten Ritter and David Tennant! Yowza! The talent in this show was off the chain! Both main characters were absolutely perfect in their roles. Ritter was phenomenal as the boozy, brittle private eye, playing wit, strength and vulnerability with equal aplomb. She wasn’t there for eye candy. She wasn’t there to do anything but be herself, and it was just great. 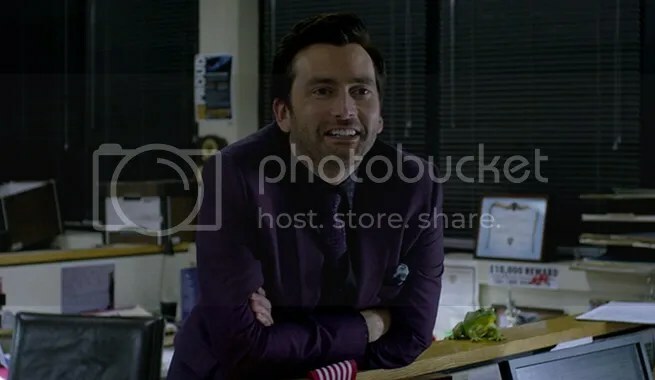 And Tennant seemed to relish his villainy, which made Kilgrave a cut above. They even managed to try to weasel in some pathos for the guy, which, of course, didn’t really work. He was just too evil. But he was a complex evil. I liked the idea that he had suffered (in his mind, at least) with his powers. It added a nice new layer to his character. Mostly, though, Tennant was perfectly charming and evil. That makes for a great villain. Everybody else in the cast was top notch as well. Trish Walker, Luke Cage, and all the dopey tenants of Jessica’s apartment filled their roles perfectly. This was another solid cast for a Marvel outing. Whoever they have casting their TV shows and movies is doing a pretty perfect job. And, of course, this means the Luke Cage TV show gets to start with a strong foot forward. Mike Colter is poised to do another great job. Season 2 before Captain Marvel? I’m no expert in this sort of thing, but how great is it to have a TV show starring a female superhero that also has a female show runner? I think we can all agree that television still has a problem with portraying female characters. Cracked did a whole list on the matter just this week, and their #1 point was how there just aren’t many women working behind-the-scenes. Well showrunner Melissa Rosenberg has shown us all that Jessica Jones should be the norm, not the exception. Heck, we can almost go down that Cracked list and check off how Jessica Jones defies the cliches. The show isn’t about Jessica being a mother or wanting babies. Her sexuality is front and center, and it’s positive. She gets as good as she gives with Luke Cage. And, of course, the entire show is about how she’s recovering from sexual abuse, and not only facing her abuser but conquering him in the name of justice. She doesn’t want to kill Kilgrave (at least not at first), she wants justice. 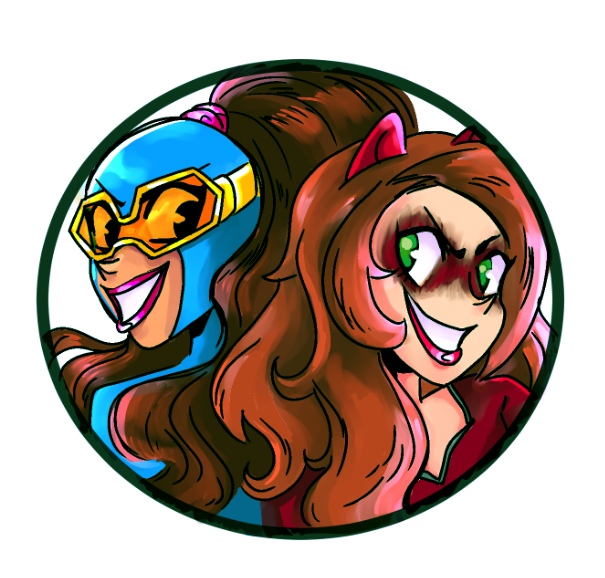 And, thankfully, there were no jokes or episodes about the super strong Jessica Jones and PMS. Let’s hope that never happens no matter how many seasons or Defenders appearances she gets. Marvel is doing it again. That same magic that came from seeing Captain America, Iron Man, Thor and the Hulk team up in The Avengers after their individual outings is back for the Netflix Defenders. I can’t wait for Jessica and Luke to meet Matt Murdock, or for Danny Rand to finally show up in Iron Fist down the road. Considering the advanced class level chemistry between Ritter and Colter as Jessica and Luke, these team-ups can’t come soon enough. It’s great, of course, that these shows stand so well on their own. They have too. I hate people who whine that these crossovers should be addressed all the time. Like, Jessica can mention ‘the flag-waver’ but won’t call Captain America to come stop Kilgrave? That’s ridiculous. This show is Jessica Jones. Marvel doesn’t have to explain why she doesn’t call in Daredevil or any other superhero. This Netflix experiment is working. That’s two amazing superhero shows in the can, with more to come, and more seasons to enjoy. 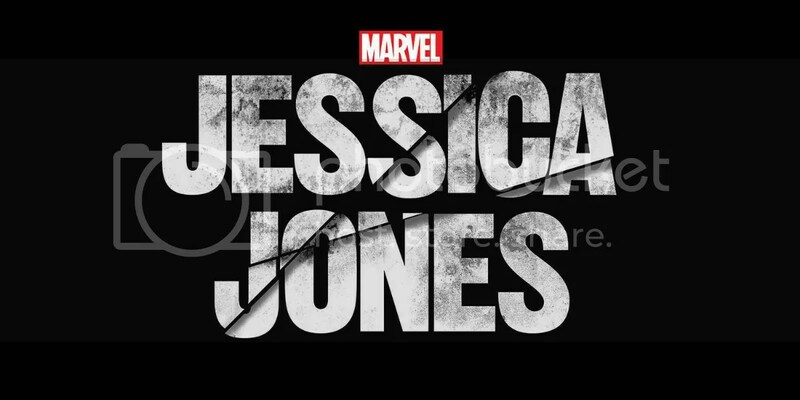 It’s hard to believe that Jessica Jones, of all characters, is the first Marvel superhero to headline her own project. But here we are, it was great, and I want to see so much more! How about everybody else? What did you think of Jessica Jones? Share your thoughts and reviews in the comments! Posted on November 25, 2015, in Lists of Six!, Marvel, Television and tagged Jessica Jones, Krysten Ritter, Netflix, Netflix Defenders. Bookmark the permalink. 3 Comments. I love that Colter dude. I’m talkin man-crush, he’s an excellent Luke Cage. And Jessica made it pretty clear why she wasn’t bringing in any help to deal with Kilgrave. No one is immune to his power, save J.J. that is. My biggest problem with the show was the lesbian divorce sub-plot. I just didn’t care about it, or those characters for that matter. I guess it made the whole ‘thousand cuts’ scenes more poignant towards the end, but i didn’t feel i needed to sit through that on-going plot just to feel a bit more emotionally connected to the characters when that whole thing came to a head. I was much more interested in that cop guy, and that combat drug program he was on. Yeah, the divorce subplot did feel a little tacked on at times. But giving supporting characters their own subplots fleshes them out more. They’re real people with real problems, and then the writers weaved that problem into the main storyline quite well. My only complaint is how it ended. The secretary was clearly acting in self defense to save Jeri. She shouldn’t even have been arrested, let alone charged with murder. Also, I was disappointed that Simpson turned evil. I rather liked him and his story, how he wasn’t just a random victim, but he came back and wanted to help with Kilgrave. But I get now that he was Nuke, so a villain he had to be.